The best way to meet people in Torbay – at an affordable price! Torbay Social Group is great value for money! BUDGET MEMBERSHIP for the cost of one cup of coffee per week! VIP MEMBERSHIP for the cost of one glass of wine per week! TO BE EMAILED TO YOU! Office telephones are open most days 12noon – 7pm. between daytime and evening events. are charged the same as to an 01 number. If you get the answer phone, leave a message. Live around The Bay and want to have more friends and a better social life? Torbay Social Group is Torbay’s favourite socialising organisation! We offer a choice of great value events where there are people to join in with! With a great sense of camaraderie and fun! It can be hard making new friends – but we make it easy! Join Torbay Social Group – and we’ll get you started straight away! 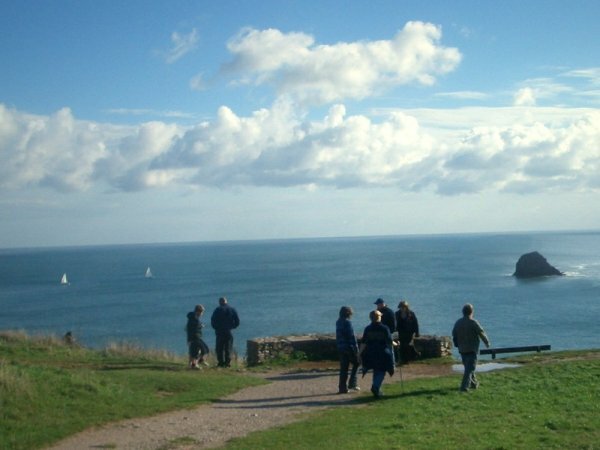 Joining Torbay Social Group offers the opportunity to have a great social life at an affordable cost! We provide the people to go out with! We provide a fabulous programme of events to participate in! Giving you the opportunity to meet people, socialise, and find new friends! All the hard work is done for you, and we do our best to find great value group discount prices! GOOD FUN! GOOD TIMES! GOOD COMPANY! We are a well-established ‘social enterprise’ business. We work from our base on Dartmoor, and are out with the group in Torquay, Paignton, Brixham, Dartmouth, South Hams, Totnes, Newton Abbot, Teignmouth, Dawlish, etc. on a regular basis. Over the years, we have become part of community life in South Devon, running all kinds of social events for people to enjoy. FOR THE TORQUAY SOCIAL GROUP WEB SITE, CLICK HERE! FOR THE PAIGNTON SOCIAL GROUP WEB SITE, CLICK HERE! FOR THE TORBAY SOCIAL GROUP WEB SITE, CLICK HERE! FOR THE DEVON SOCIAL GROUP WEB SITE, CLICK HERE! PLENTY ON OFFER IN TORQUAY! PLENTY ON OFFER IN PAIGNTON! PLENTY ON OFFER IN BRIXHAM! PLENTY ON OFFER IN TOTNES! PLENTY ON OFFER IN NEWTON ABBOT! PLENTY ON OFFER IN TEIGNMOUTH! Plus more events in PLYMOUTH and in EXETER! Everyone is welcome to take part in events in and around TORBAY, and across DEVON! If you don’t have your own transport, other members are often happy to take passengers, especially if you share the petrol costs. Otherwise, people turn up to events by bus, train, or taxi. TO VIEW PHOTOS FROM SOCIAL GROUP HOLIDAYS, CLICK HERE! TO VIEW PHOTOS FROM SOCIAL GROUP HOLIDAYS TO LAS VEGAS & WILD WEST USA, CLICK HERE! #YOLO = YOU ONLY LIVE ONCE! Life is not a rehearsal. If you don’t feel good, what are you doing it for? We are offering you an easy way to make the most of your free time. Get the work / life balance right – with Torbay Social Group! Join in, meet people, socialise, have fun, make friends, and enjoy yourself! A ready-made ‘group of friends’ to go out with! A professionally organised events programme! Every effort will be made to help you feel welcome! CLICK HERE for Moor Business!